CUSTOM HOME with a LOT and LOCATION that are HARD to find. Remodeling needed, but what a SPACE!! You do the upgrades and YOU get YOUR Dream Home For Less! *2.89 Acres* *5 Car Garage* *No HOA* *Custom Built Home* *Large Rooms* *HUGE Lanai* *Owner's Retreat* *High Ceilings* Say hello to Gorgeous Acreage! 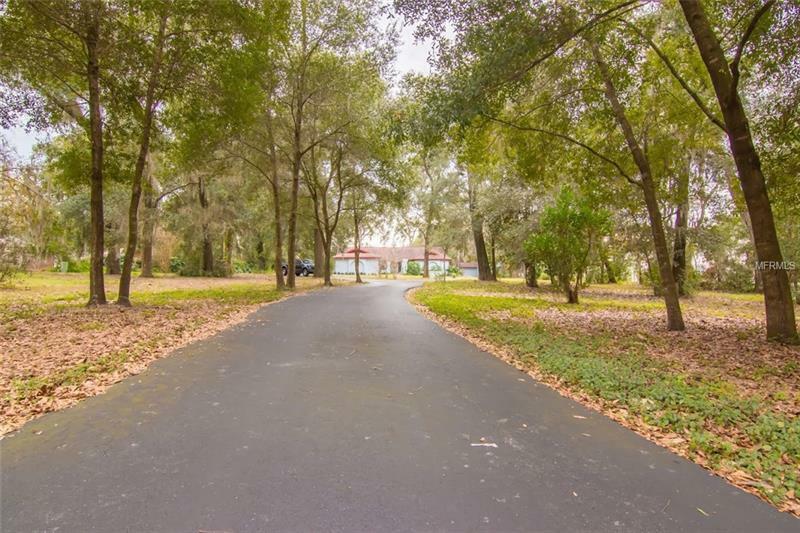 You will fall in love with the nearly 3 Acres of Beautiful Tall Oaks and the Florida sunshine peeking through the treetops. Welcome to 427 W Windhorst Road. This Unique Home features a Large Formal Living Room and Dining Room Combo with Slider access to the Oversized Screened Lanai, Kitchen with Breakfast Bar, Separate Eating Area, Plenty of Counter Space and Cabinet Storage. Bright and Open Family Room with a Gas/Wood Burning Fireplace and a large slider to the Lanai. Master Suite with a Large Bedroom featuring a Walk-in Closet and Master Bath with Large Vanity and a Garden Tub with Shower. Master also has a connected Retreat/Den with a private Full Bath. The home features 3 Secondary Bedrooms and an additional Full Bath. Step Outside to the Massive Screened LANAI - a great spot to entertain friends and family or just relax and enjoy the scenery. There is an attached 2 Car Garage as well as a Detached 3 Car Garage - big enough to hold all of your toys or a great space for a workshop! Truly a one-of-a-kind home with a Great Brandon Location! Close to Schools, Shopping, Dining, and easy access to I-75. Come check it out today!